From the New York Times bestselling author of Chasing Vemeer comes an unforgettable story about an island haunted by the ghosts of the past. Ghosts are alive on the island of Nantucket. You can hear them in the wind and in the creaks of the old homes. They want to be remembered. And, even more, they want to protect what was once theirs. The ghosts have chosen a few local kids to save the island against the adults who would do it harm. But the kids can't be sure how the ghosts are going to act. Things tend to disappear when ghosts are around. People tend to get trapped - especially if they're up to no good. Only the kids can make things right . . . if the ghosts will let them. 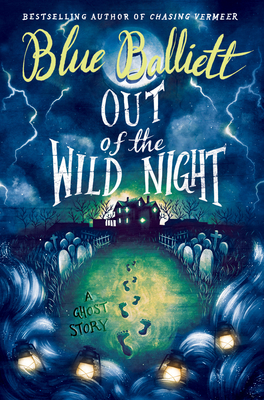 Out of the Wild Night is master storyteller Blue Balliett at her spooky best, a spellbinding tale about the haunted residents of a very special place.